Recently I’ve migrated my Lync lab to Windows Server 2012 R2 where I’ve build new site and pools and proceeded with decommissioning the old pool. 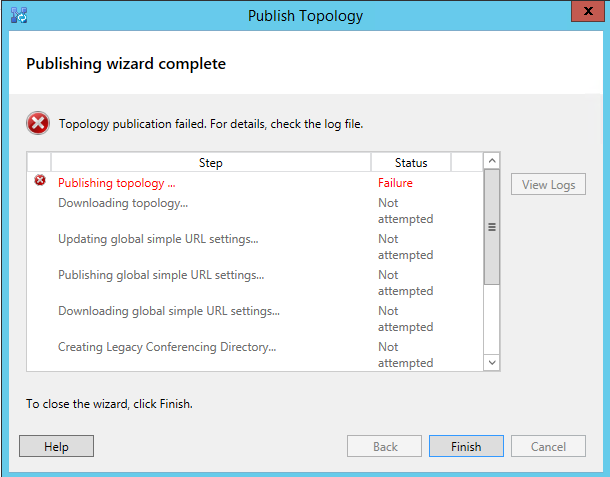 After moving all users and objects as recommended, I proceeded with removing the pool and publishing Topology. I did check checking everything suggested by the log (Get-CsUser, Get-CsExUmContact, Get-CsCommonAreaPhone, Get-CsAnalogDevice, Get-CsRgsWorkflow, Get-CsDialInConferencingAccessNumber, Get-CsAudioTestServiceApplication, Get-CsTrustedApplicationEndpoint, Get-CsPersistentChatEndpoint) and got the correct output – no objects. ...and turned out to be... LRS. 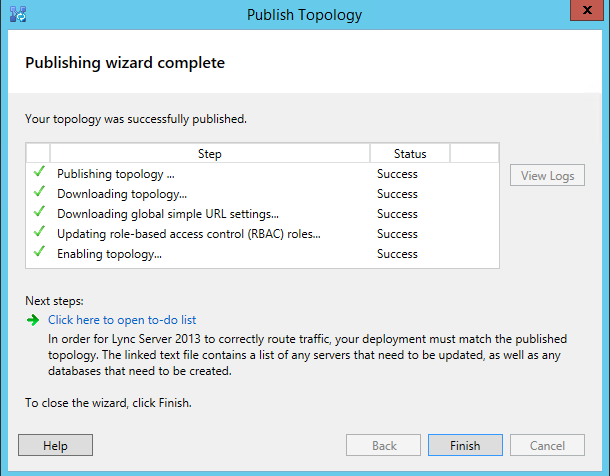 Ouch - I forgot that about a month ago I did provision Lync Meeting Room (LRS) to test LRS Portal installation. Ran Move-CsMeetingRoom and… Topo publishing completed. 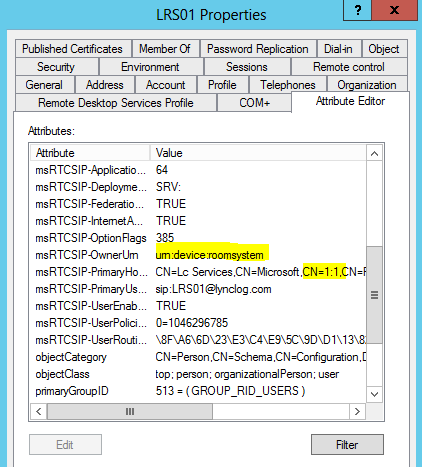 In conclusion, I am sure Microsoft will update the code to suggest Get- CsMeetingRoom in the Topo log, but meanwhile, if you have LRS in your environment already, make sure you move it prior to decommissioning Lync 2013 pool if it was homed there.